Well now, this is pretty great. 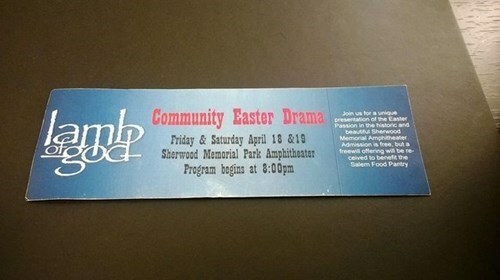 It appears that the town of Salem, VA “accidentally” used the official Lamb of God logo to promote an Easter play appropriately titled, Lamb of God. The town apparently does a play every year and that just happened to be the title this time around. To check out a picture of the tickets and an official statement from the town click right here. One has to wonder if whoever was in charge of promotions just Googled the name and used the coolest graphic they saw, or if they are just awesome and have a first class sense of humor? Unless you’ve been living under a rock you probably know that Lamb of God’s lead singer Randy Blythe was recently acquitted of murder in the Czech Republic. 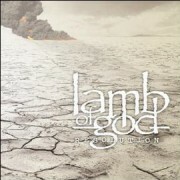 The band’s last album was titled Resolution and released by Epic Records.